The 2018/19 Stanbic Uganda Cup, continued on Sunday with a number of games played across the country for a right to reach the round of 32. All but one of the Top tier teams that played on Sunday qualified for the next round. BUL FC defeated visiting Kataka 2-0 at the FUFA Technical Center in Njeru. A goal in each half by Farouk Banga and Villa Oromchan propelled Peter Onen’s charges to the next round of the competition. Raymond Onyai netted the consolation for the FUFA Big League club. 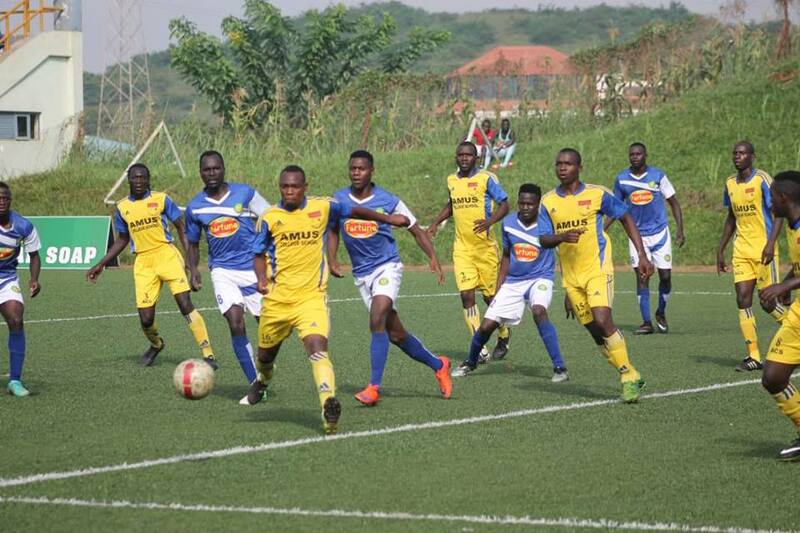 At Lugogo, Police FC registered the biggest scoreline on the day, walloping Boma Young 5-0 at the Star Times Stadium. Uganda U-20 right back Paul Willa opened the scoring for Abdallah Mubiru’s side in the 17th minute. Ruben Kimera and Ronald Nyanzi both scored a brace to book a berth in the next round. Elsewhwere, Tooro United ejected Entebbe FC from the competition, winning 2-0 at the Buhinga play ground in Fort Portal. First half substitute Baker Buyala and Steven Omvia struck the goals for Wasswa Bbosa’s coached side. For West Nile based club Onduparaka, they smiled to a 2-0 away victory over Busia Young at the Madibira play ground in Busia. Ceaser Okhuti and an own goal won the day for the Catarpillars who are also ridding high in the league as they currently occupy third spot in the standings. Bright Stars were 4-0 winners against Kazo Execl and Nyamityobora won 3-1 away to East Land. Uganda Revenue Authority (URA) FC and Express stand to benefit from a fair ruling by the FUFA Competitions department following failure by their opponents Jinja Municipal Council Hippos and Paidah Black Angels, respectively not to show up for the matches. URA was at home in Namboole while Express had traveled to Arua. The only StarTimes Uganda Premier League side that was eliminated was Ndejje University. The University side fell 1-0 at home to Kansai Plascon to pile more pressure onto head coach Raymond Komakech. High flying FUFA Big League side Kiboga Young, a newly promoted entity won 1-0 away from home, overcoming Kigezi 1-0 at the Kabale Municipal Stadium. Moses Wafula scored the lone goal of the day. Another FUFA Big League side Kyetume eliminated fellow second division outfit UPDF 3-1 at the Nakisunga play ground in Mukono. This happened a few days after UPDF had beaten Kyetume by the same score in the second tier of Ugandan Football. Meanwhile, three more matches for the Stanbic Uganda Cup round of 64 will be played on Monday with Wakiso Giants at home to Vision FC, Kira United hosting St. Mary’s FC and Light SS making the long trip to Kampala to face in-form Proline at Lugogo. On Wednesday, Uganda’s CAF representatives KCCA FC and Vipers SC will honour their round of 64 fixtures at Lugogo and Kitende respectively.